If you’re looking for a costume for Wednesday, I recommend you visit your local thrift stores. If you’re looking for a costume for next year, you may want to consider going as your friend. You probably don’t look like your friend though, so you’ll have to resort to wearing their clothes and and repeating their catchphrase like a pull-string doll. Oh wait, no you don’t. 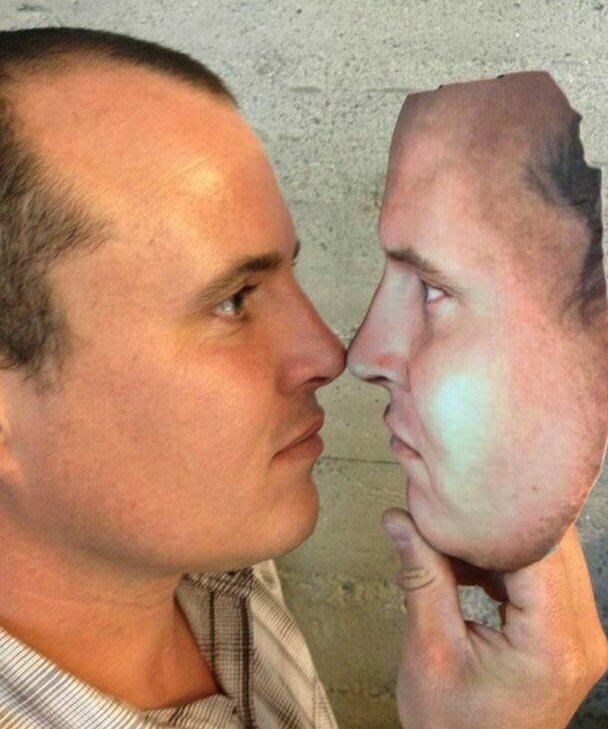 I alluded to 3D printers soon giving us the ability to don each others’ faces as masks, and they already have. Patrick, from Medical Applications Development at somewhere, decided to have his own face printed, and the resemblance is uncanny. To get the most accurate digital representation of his face, Patrick used a Planmeca ProMax 3D ProFace CAT scanner to capture every detail. The image was sent to a ZPrinter 650 to print in high definition full color and the result is uncomfortably accurate. The word “disembodied” comes to mind. While this ability holds the creepiest of potential, I can imagine plenty of practical applications. There are tons of uses Hollywood could pull out of this. From more-convincing stunt doubles to terrifying monster masks, printed pieces won’t just be limited to faces; full-body suits are entirely possible. 3D printing has already entered commercials, reducing modeling time and costs. This face printing can also be exploited by intelligence and security agencies. Agent Ethan Hunt has been wearing realistic face masks since 2000 when Mission Impossible hit theaters. Looking exactly like someone else is one of the classiest ways to spy. I think one of the most promising applications of such technology though is in the reconstructive surgery field. Often multiple surgeries are necessary to make someone look like a person again after a severe maiming; a fake face could definitely make someone feel more comfortable in public while waiting on surgeries to heal or be performed. Printed pieces could even become permanent additions by acting as scaffolds that allow real skin to grow over them. No matter how freaky this printed face is, the possible uses of the ability to affordably create convincing human forms are countless. Patrick’s version is stiff, but soft and flexible materials can be used too. What other uses can you think of?